#566407 - Item is available. 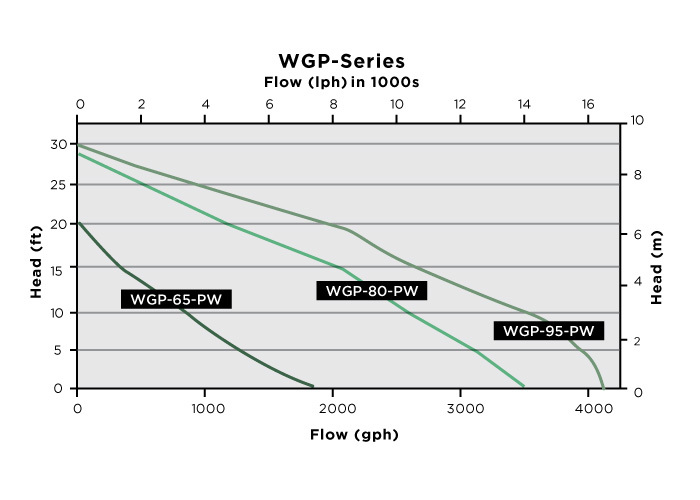 Little GIANT WGP Series pumps are efficient, oil-less, direct drive and dual discharge pumps. They produce greater pressure so each can serve two water features simultaneously. Installed either vertically or horizontally, the corrosion-resistant submersible body is designed for non-potable, continuous operation.